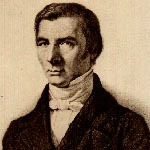 Home » Posts tagged "Bastiat"
Anyone could do wonders if he could contrive to overcome all resisting influences, and if all mankind would consent to become soft wax in his fingers; but men are resolved not to be soft wax; they listen, applaud, or reject and — go on as before. via What Is Money? – Frederic Bastiat – Mises Daily.